If you're an individual brimming with good ideas for a sport or physical activity project, but need a financial helping hand, then there are several funding streams that might provide the answer. vInspired's Cashpoint gives you the power (and the money) to bring your own community project to life. Tell them what great change you want to make and how your project clearly benefits others. We'll give you up to £500 to make it happen. 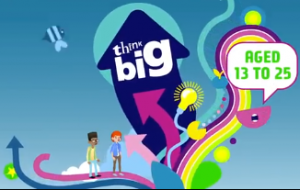 Think Big is open to young people between the ages of 13 and 25. UnLtd helps individuals develop community projects. The Alec Dickson Trust provides grants of up to £500.